Oh, the inspiration! I’m drowning in it! What better way to go, huh? 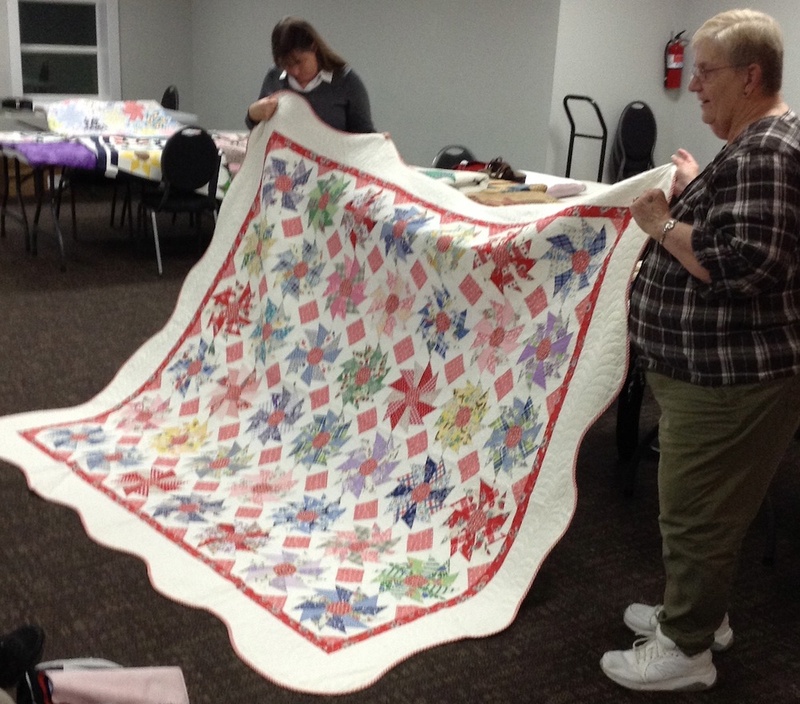 Last Saturday, the Hands of Friendship Quilt Guild in Kirksville, MO, hosted Dawn Heese from Linen Closet Designs for a workshop and trunk show. 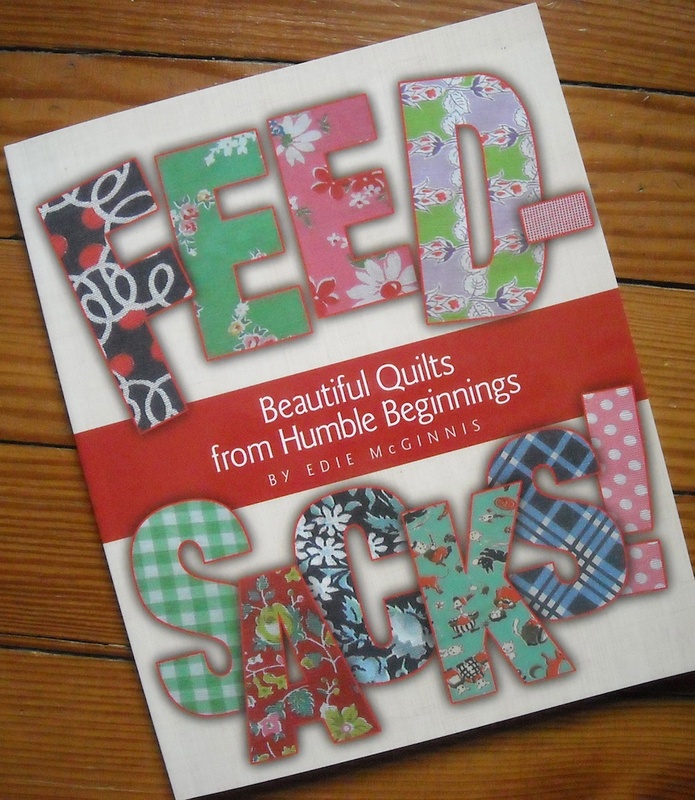 She showed all the latest projects from her new book, and the quilts from all her new patterns that she just debuted at Market in October. 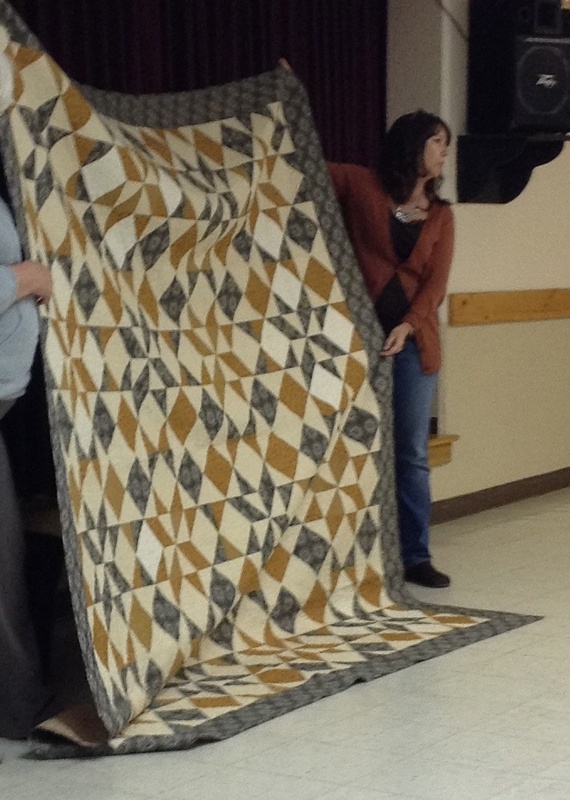 So wonderful — beautiful quilt after beautiful quilt — the inspiration was overwhelming. I already have Dawn’s new book . . .
. . . but I wanted this pattern, so that’s what I got. It’s made from a layer cake! Yummy! Now to choose the perfect layer cake . . . it’ll tear me up to shop, don’t you know? 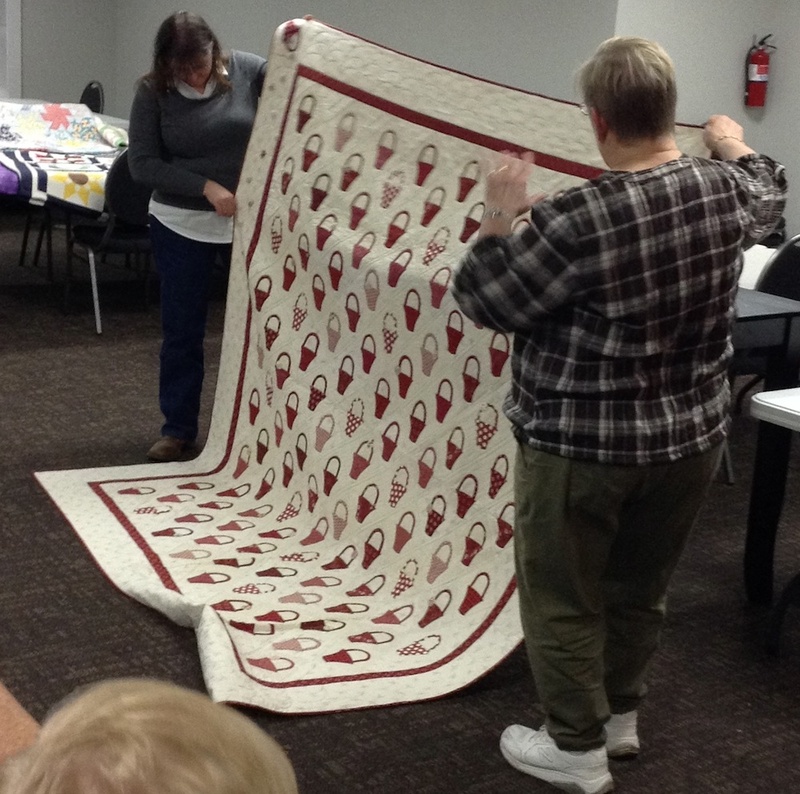 And then last night, the Pecan Valley Quilt Guild hosted Edie McGinnis, Kansas City Star editor and author, for a trunk show of her fabulous quilts. She really entertained us. I lost count of how many quilts she showed us, but we could have sat there all night and just let her keep showing and talking. What a fantastic collection of quilts she displayed! I already have a couple of Edie’s books, but naturally, I had to buy another one. 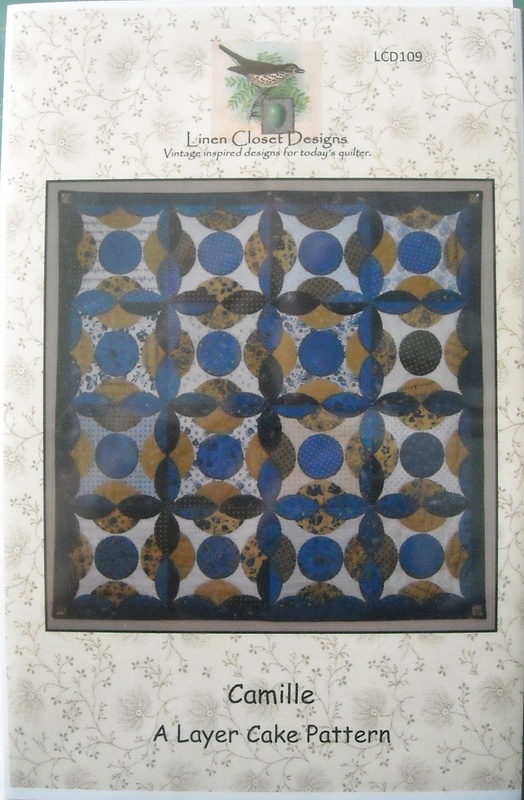 Here’s the one I got — inspired by the quilt she’s showing above. I already have plans . . . because I need to start a few more projects, right? Actually, I’m invited to a very special retreat this weekend. Maybe if I hurry and put some things together and do some cutting, I can whip up an entire new quilt over the weekend. Any bets? 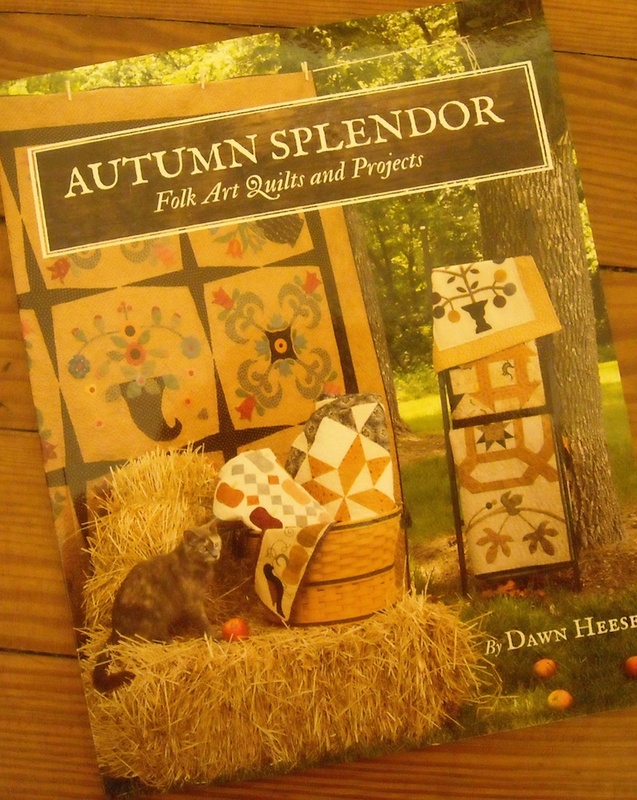 Dawn’s books and patterns are available on her website HERE. Oh I bet they were both awesome. Wish I had been up there so I could have gone. They are both so talented and I have patterns here by both. Good luck with that quilt this weekend. Do you know which one you are going to do? I bet you can get a whole new quilt top made!! I just got home last week from a 3 day retreat where I put bindings on 4 quilts, made 4 microwave bowl potholders and 2 plate potholders, and made two new quilt tops. If I can do that, I know you can do yours!!! I may have cheated, but both new tops were made with fusible using ombre fabrics on Kona Coal. Your trunks shows look like they were fabulous!! I can’t wait to see what you make from the books and the new patterns you got!! I wanted Dawn’s Autumn Splendor book but she was all sold out by the time I got to the table. Of course, I was still able to purchase a couple of other wonderful things.